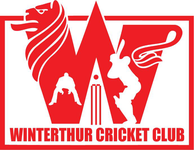 The Winterthur Cricket Club have failed to progress beyond the qualification stages of the Cricket Switzerland Premier league (CSPL). With 2 wins from 5, disappointment was assured after losing their last, must win, match by 9 wickets against ground-sharing tenants Power Cricket Club. Winterthur now have to concentrate their efforts on the Pickwick Twenty20 competition if they are going to lift any silverware this season.